Monkfish XML Software is a dynamic software company based in Soest, The Netherlands. Established in 1998, Monkfish XML Software aims to produce high quality, user-friendly applications. Please feel free to contact us if you have any questions or wishes. Send an e-mail to support@xmlblueprint.com. Or, fill out our anonymous online form by clicking Help > Contact Us (online)... from the menu bar. • Anneke van de Langkruis of Informaat for her work on the icons in the application. • Ingrid Gerrits-Honig of Ontwerpfontein for her work on the visual design of this website. • Carla Huls of Informaat for all her support and marketing ideas. • Marcel Kosters of Informaat for his marketing ideas. • Janneke of Mac. Janneke for her work on the logo. • Anna Botsvine of ANGI studio for her work on a previous visual design of this website. • Liesbeth Vorst of Tiscali for implementing a previous visual design of this website. • Bart Roozendaal of Sevensteps. • Bart van Velzel of Informaat. • Edwin Jonkers of PGP. • Herman Vandermolen of Yahoo!. • Maarten Kroon of Valid/Vision. • Maarten Woldring of Stroomt. But, what is a Monkfish? 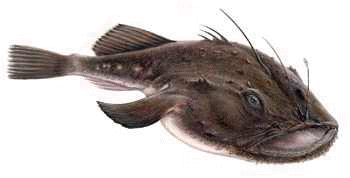 A monkfish is a rather ugly, but very tasty fish.